Our nearest village, Hunmanby, is known as the Gateway to the Wolds. Once the largest village in Great Britain, the name originates with the Danes. It is recorded in the Doomsday Book in 1086, as ‘Hundemanbi’ meaning ‘farmstead of the houndsmen.’ This relates to the hunting down of wolves on the Yorkshire Wolds. One of our recent guests was Hugh Mitford Raymond. Born and bred in South Africa, Hugh has lived on the French Riviera for the last 20 years. He has lived a colourful life and was in Hunmanby to trace his heritage as he is writing a book about the Mitford Dynasty. He is a direct descendant of the Mitford family of Northumberland and related to the famous Mitford Girls including Deborah Duchess of Devonshire and Chatsworth. Many of the farms in this area were owned by the Mitford Estate at one time apparently and Admiral Robert Mitford lived at Hunmanby Hall. Hugh’s grandfather and great uncle are buried in the churchyard of All Saint’s. We have Heritage Trail leaflets in reception and you can walk round the village following the trail. 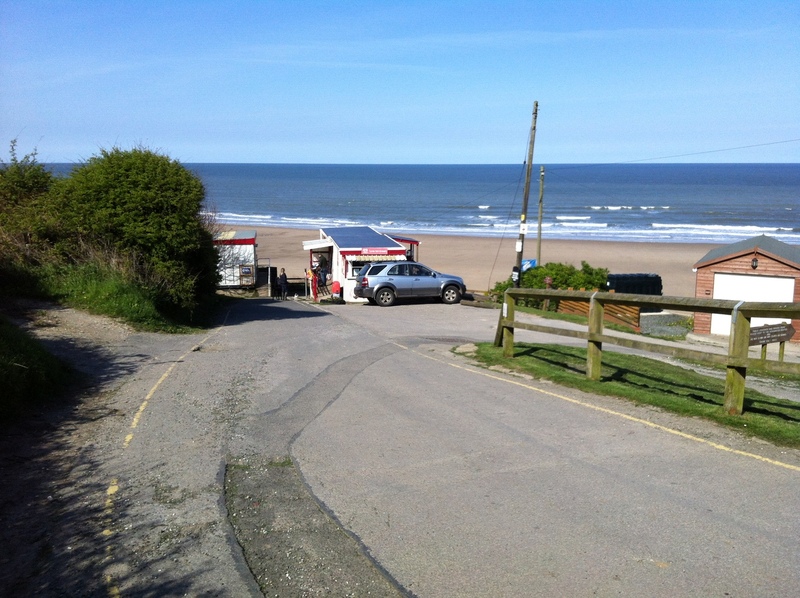 One of the best thing about Hunmanby is the beach at Hunmanby Gap. Drive down Sands Lane and park in the field (the farmer charges a couple of pounds for the whole day). The beach is vast and generally empty. There are no annoying rules so you can take your dog, have a barbecue etc. The walk in to Filey and back takes around an hour and a half and you will pass Billy Butlin’s holiday home, a striking 1930’s art deco house known as the White House (no dodgy chalets for Billy). Apparently Charlie the Butlins’ elephant is buried nearby. 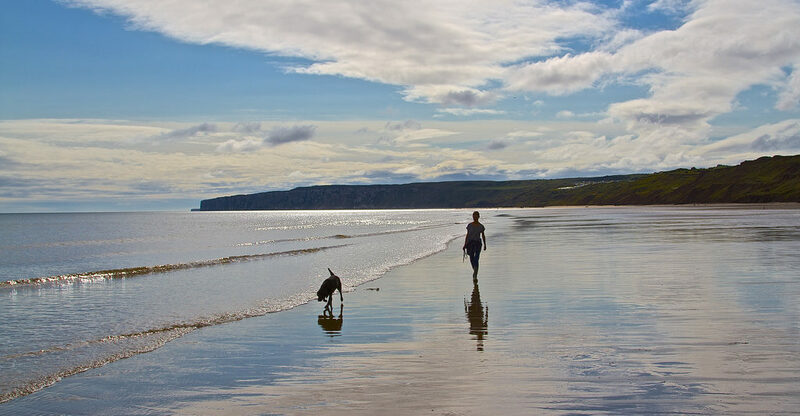 You can also walk the other way towards Bempton and Flamborough via beach and cliff paths. Finish with a mug of tea and piece of home made Bakewell Tart at Hunmanby Gap café (which is actually a precariously perched Portakabin.) It is not glamorous but the views are spectacular and two of you can eat for less than a fiver!